Mike discussed his new syllabus and how he is going to integrate the existing MSKF into his new training programme. Mike has gone to great lengths to develop the new grading structure and how it will compliment and co-exist with the established examination process. It has been agreed that Mike can develop his new style under the Shotokan banner as the main aspects are of a traditional origin and based around fundamental Shotokan techniques and content. Mike will market his club and state that he is affiliated with MSKF so that he can still belong to the federation and receive all of the support he requires. The Senior Instructor Team will review the progress in 6 months and discuss any issues or concerns that have been identified. Mike will inform his students of the changes and provide an exit strategy for any of his students that want to transfer to either Stafford or Brereton. This will be a two way process and students can be referred to Mike if the student wants to study with Mike. Paul has had a meeting with Sensei Gary Butler in regards to his grading to 5th Dan. 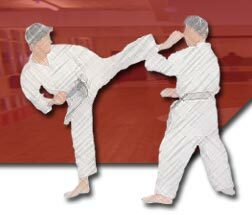 It is a strong process and holds a genuine robust system that will enable Paul to be graded to a 5th Dan. Dale will meet with Gary Butler to discuss the 200 page document and be involved in the process so it can be validated and witnessed. Mike may also be invited to take part depending on the testimonial requirements and evidence gathering. Next meeting will be agreed by the team and held in 6 months.